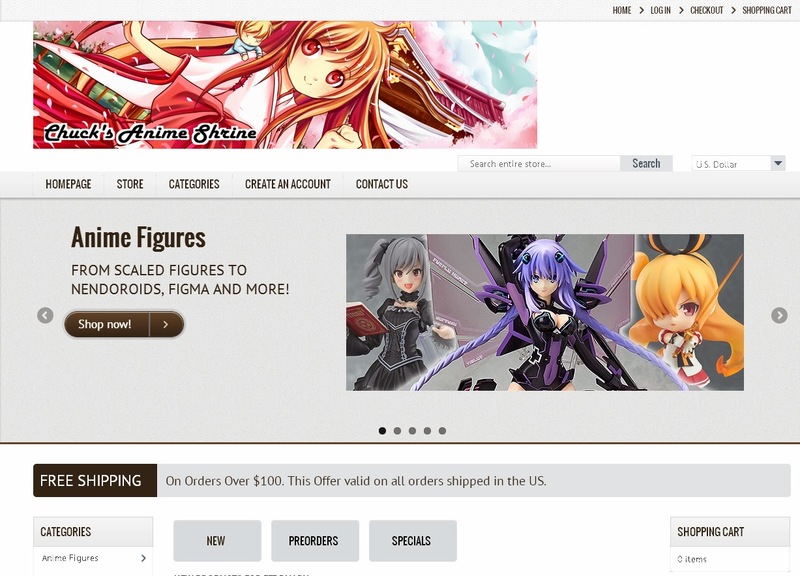 Our Newly Revamped Anime Store! About 7 years ago, we added our very own anime store; a place by fans for fans. It's been a great run; we became a name here in the US, selling over $100K anime figures & accessories within the first few years. We were there selling Official/non-bootleg Nendoroids and Figmas right from the start of their production. As some of you know, in late 2012, Hurricane Sandy ruined the track record for the store; causing pre-orders to not arrive to the east coast and flat out ruin the chance this store had in being right up there with the likes of stores we've shopped at in the past like AmiAmi, Hobby Search and Anime List. Currently the listings are a bit slim as we continue to sell our old stock..but more older "hidden" stock will become available as well as the return of the anime figure pre-orders and maybe even the return of Swarovski figures & the inclusion of new lines of products.